Okay, a week or so ago, I shared a cute picture of my dinner. I like food, and tend to take pictures of new recipes I try or restaurants I visit. Sorry, I’m that person. Most of the time, I’ve slaved over the stove and feel especially proud. 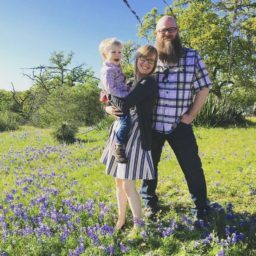 Recently,I shared my food picture for another reason: I was 8 months pregnant, exhausted, overworked, and yet managed to fix real, hot food in under 15 minutes. I felt like superwoman. And lately, this superwoman has been feeling her cape slipping off a bit. Well, I thought the recipe was pretty simple, but I had plenty of people ask me questions or for specific details. So this week, I photographed the process. Did I mention the whole pregnant and tired thing? 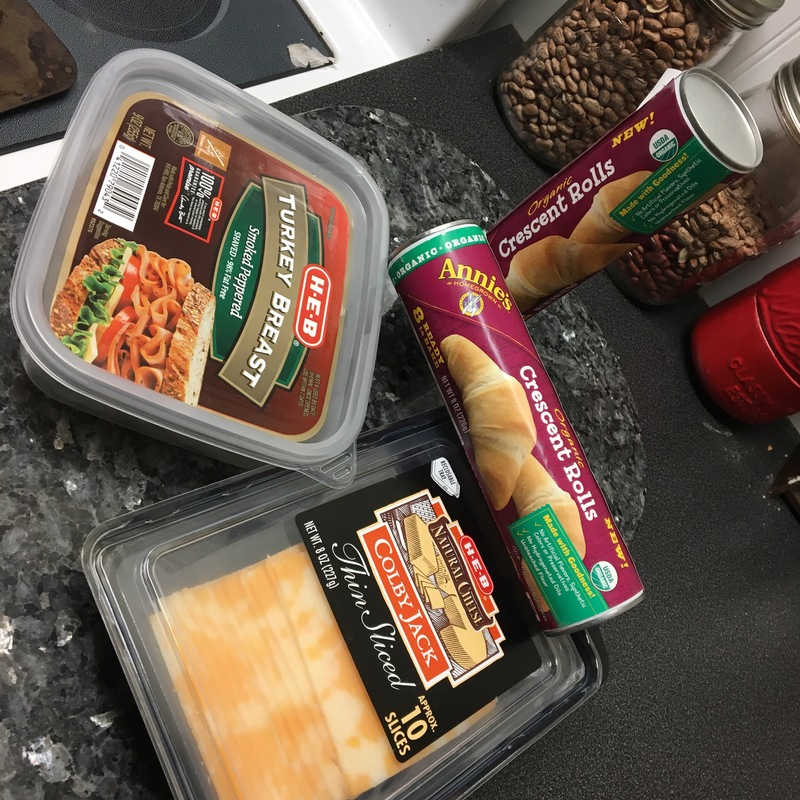 So this week my husband went to the store for me. I asked him to get deli meat and a good cheese. He returned with this. A little less fancy than round one, but he sighted a long line and the deli counter and this brand having a coupon. But guess, what? Still tasted great. Nothing fancy here. 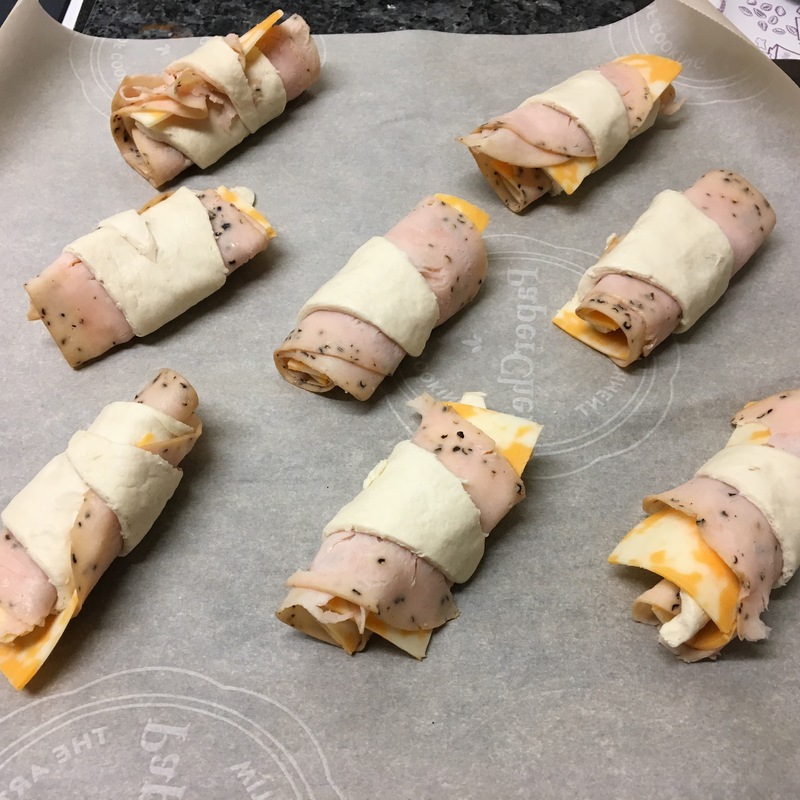 Meat, cheese and roll. It takes 3-4 minutes. 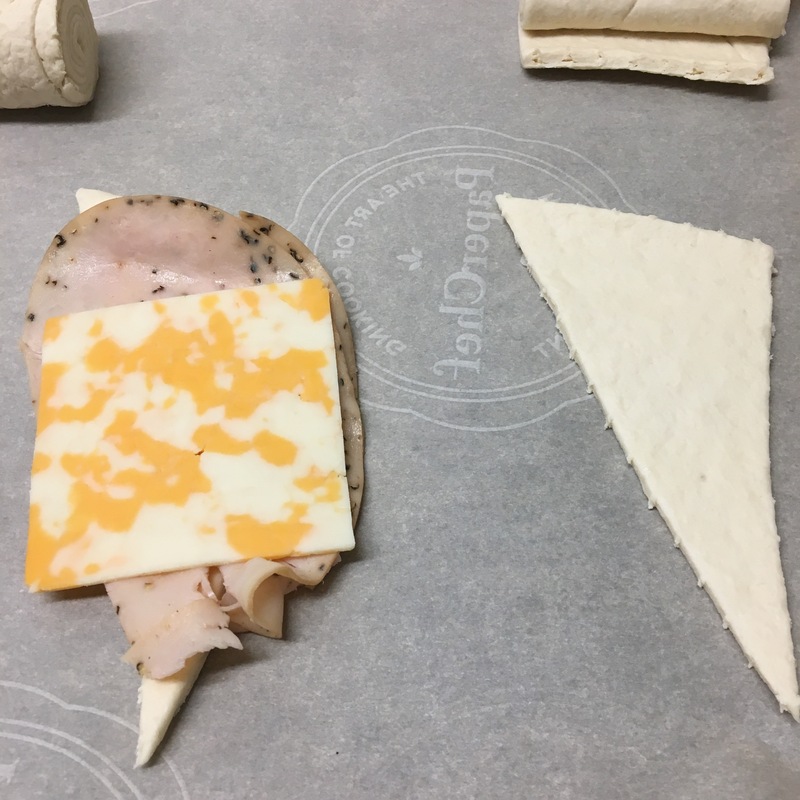 I like cheese, and put a whole slice. A half slice would work just as well, if you’re crazy like that. Here is my secret, roll on wax paper. Not only will it save on clean up, but I have my baking sheet underneath. I just pop into the oven. 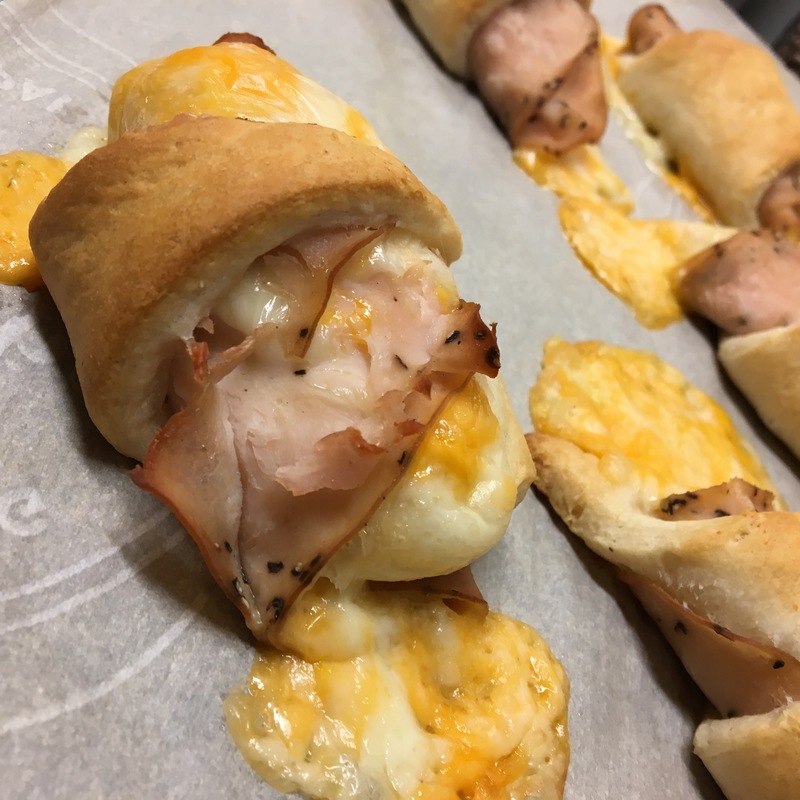 This allows the cheese to melt out, get gooey, and yet come right up. 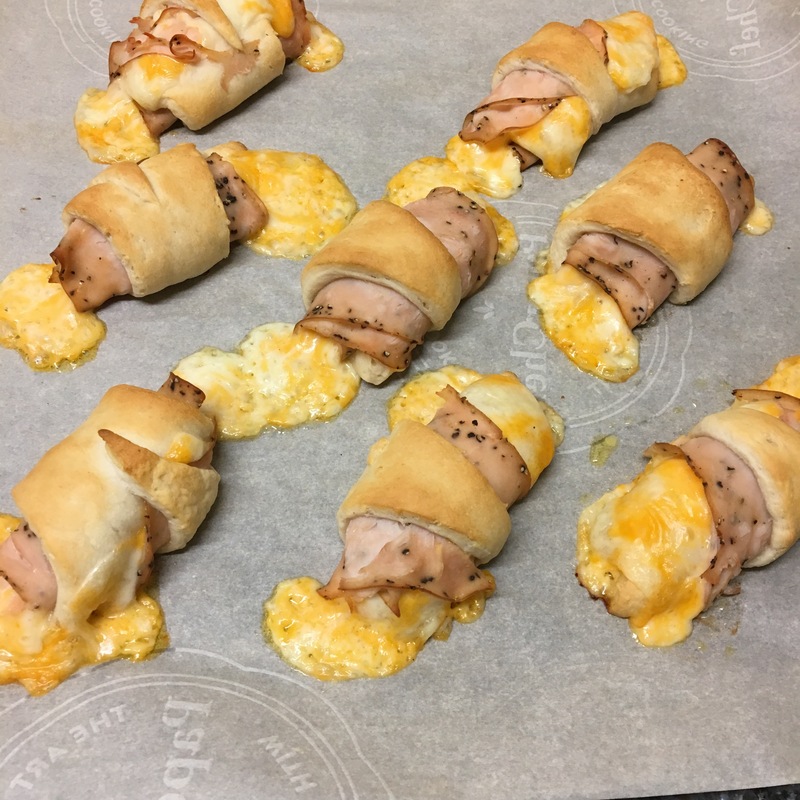 Follow the instructions on your crescent rolls but add 2-3 minutes or until they start to brown. For me, this made my cooking time 14 minutes. So, I had dinner ready in about 15 minutes and only 3 minutes required any effort. I added mustard as a dipping sauce and paired it with chips. Sure, I will make elaborate recipes, with more than 3 ingredients, again. Maybe in 2-3 months when my body feels a little more together. But right now, I’m giving my self grace and suspending the unrealistic expectations I have set for myself. It’s more about relinquishing my pride, pride in eating healthy and fresh, meal prep and planning , and having it all together. While, it’s not an excuse to be lazy, I do need to find some things I’m willing to let go of. For me, it’s my meal prep time and exchange it for a 15 min nap on the couch after work. Are you in a moment of your life when you need grace too? How have you simplified dinner time? Or another part of your life? 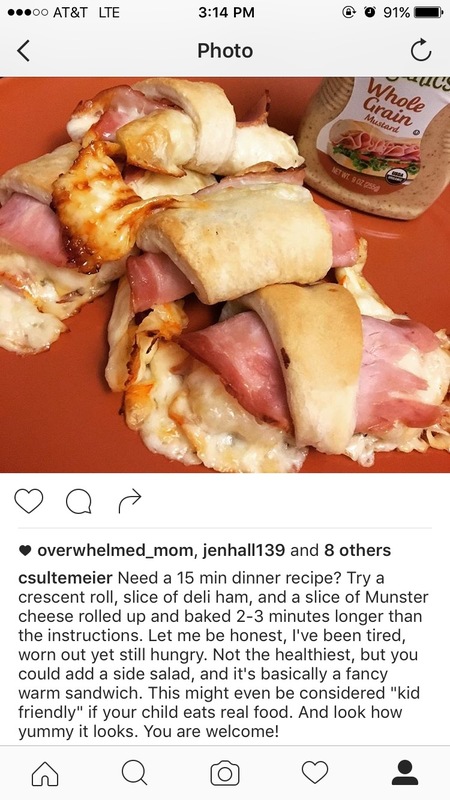 Any great 15 minute recipes to share?